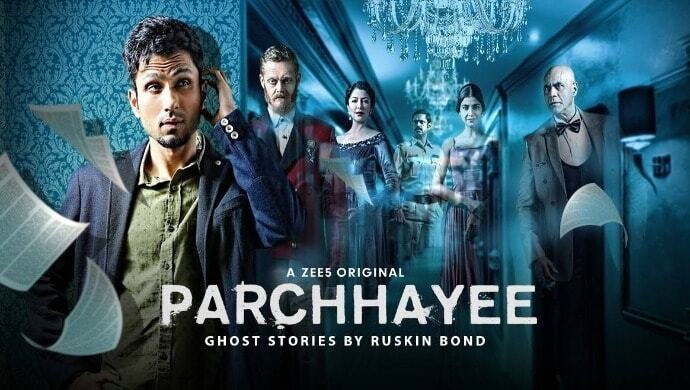 ZEE5 original Parchhayee: Ghost Stories by Ruskin Bond isn’t your regular run-of-the-mill horror series. The paranormal short stories penned by Ruskin Bond take a look at ghosts and spirits through a new set of lens. The same is depicted in Parchhayee and five episodes into the series, we knew this wasn’t a regular ride. The first five episodes managed to bring out the chills and the screams without an ounce of blood. However, breaking the cycle, the fresh episode (sixth one in the series) Katl-e-aam @Ritz is all things blood-smeared faces, brutal killings and bone-chilling suspense that will drive you crazy in the mind. Directed by Sumit Mukhopadhyay, Katl-e-Aam @Ritz traces the story of Rahul (Amol Parashar), a writer, who checks into the Ritz hotel which had witnessed a massacre hundreds of years ago. The story begins with a scene wherein Maharaj Digambar Singh is enjoying an eventful evening with British officials from the East India Company. The ballroom is filled with grandeur and opulence to the brim as the official is singing praises of the brave Maharaj. Colourful drinks, an English style discipline and an Indian touch of warmth command the atmosphere in the room. As the narrative progresses, we see that the officials arrest Digambar Singh after he is exposed to plotting against the British. However, the King demands for a pistol to shoot himself instead of being hung to death. He does take his own life, but only after using his tantrik powers to wreak havoc on the rest of the party. Cut to a century and more later. Rahul visits Ritz to find the plot for his next novel, a historical thriller. Merely hours after his check-in, Rahul realizes that he has become a part of his own story. Digambar comes to invite him to a British-themed party, dressed as bellboy Jenna from Orissa. Rahul even has a weird encounter with guests at the party, only to realize they are all characters from the story he has written. A perplexed and petrified Rahul announces he wants to leave the hotel at once but is dragged by his story’s characters to be barbecued to death! Elina, played by actress Rachel White, even attacks Rahul but he nearly escapes it. As he dodges many other life-threatening incidents, Digambar comes to Rahul’s rescue. This time in all his Maharaja glory! He asks Rahul to write an ending for his story that pictures him as the King of India and also includes everybody else dying instead of him. It is mention-worthy that this never-seen-before role of veteran Puneet Issar could scare the living daylights out of the weak-hearted. Finally, Rahul and Police Inspector Negi flee the hotel but only to find danger mid-way. Negi ends up becoming a part of Rahul’s story whilst Rahul gets stuck in his laptop screen i.e. in the novel. Will he ever make a comeback to the real world? Has Digambar trapped Rahul to write a different ending to his story? Will Rahul unravel the mystery of the haunted hotel? Were the characters a piece of Rahul’s imagination or were the massacre did happen for real? Watch the equally confusing but stunning climax scene to find out. You’ll know it all! As for the tunes and melodies, there is a sense of spookiness with every photograph falling and every incoming footstep. There isn’t much detail but the British elements of the pre-Independence era depicted in the episode have been aced to the nines. We missed the breath-taking locales of Goa but the vintage feels made it up for it all. Coming to the supporting cast from the latest Parchhayee episode, every single character performs their brilliant best to add up to the beauty of Rahul and Digambar’s role. The above-mentioned factors combined make for a poignant narration of a timeless tale of the living and the dead. One thing we can bet is, you can never forget your stay @ Ritz. Rahul won’t too. Because some stories, are better not told. 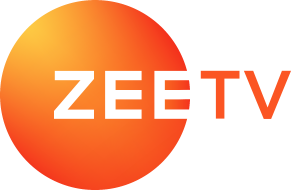 Unravel the mystery about Katl-e-Aam @Ritz on ZEE5 now!